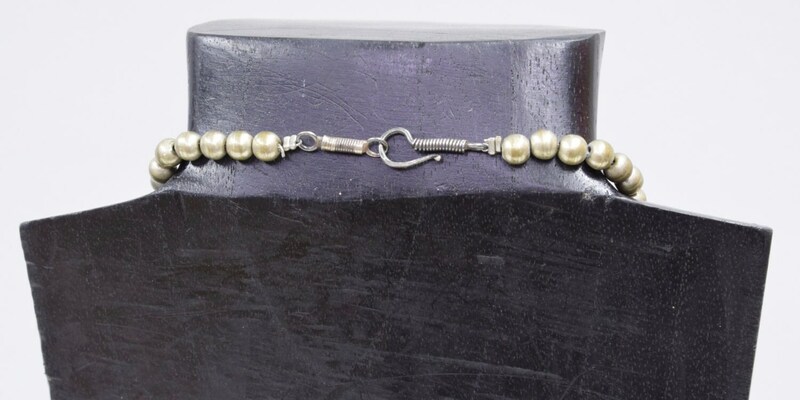 This is Vintage Middle Easter Silver Triangular Dangle Pendant with Chinese Silver Beads, African Amber, African Glass, Indonesian Red and Black Horn, Bone Beads, Old India Silver beads and Brushed Silver Beads. This necklace was part of the Bacara Jewelry Collection of 25 years ago. 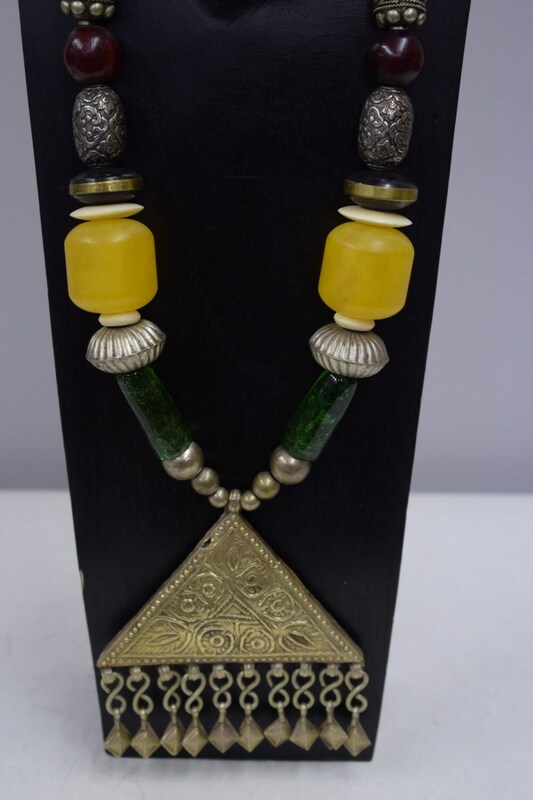 It is a one of a kind necklace with wonderful beads that are no longer available on the today's market. 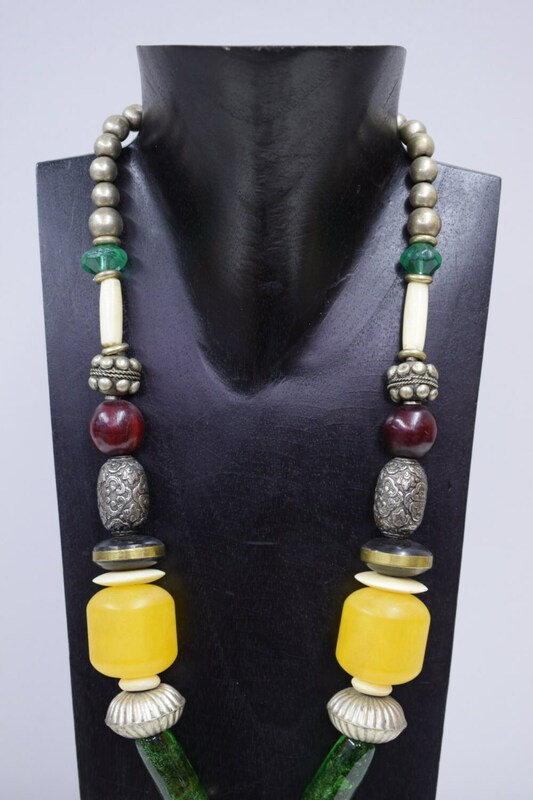 The necklace is not heavy to wear, looks fabulous on and will compliment any outfit. A great gift to give that special someone during the holiday season.